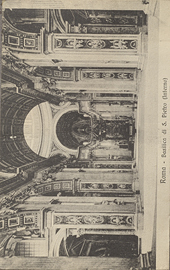 Interior view of Basilica di San Pietro in Rome, postcard. 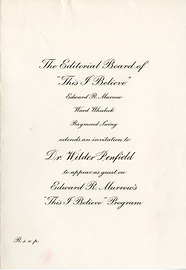 Invitation to Wilder Penfield to appear on radio program "This I Believe." 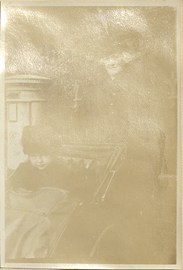 Ivo and Denis Payne, photograph. 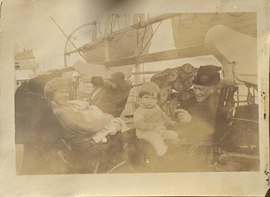 Jean Jefferson Penfield and Abigail Adams Eliot in a Punt Boat with Frank Brown, photograph. 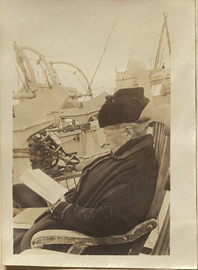 Jean Jefferson Penfield reading a book on the deck of the S.S. Winifredian, photograph. 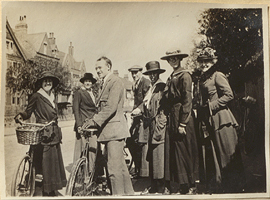 Jean Jefferson with Wilder Penfield and friends, photograph. 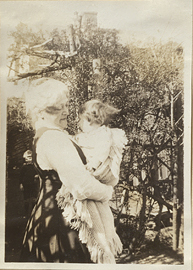 Jean Penfield and Ruth Mary Penfield, photograph. 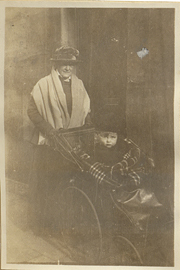 Jean Penfield and Wilder Penfield Jr. in Pram, photograph. 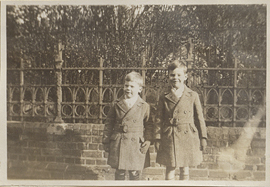 Jean Penfield and Wilder Penfield Jr., photograph. 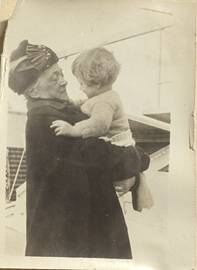 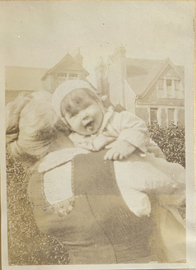 Jean Penfield holding Wilder Penfield Jr. on the deck of the S. S. Winfredian, photograph. 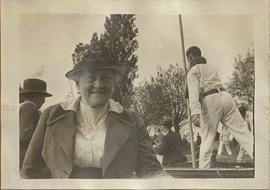 Jean Penfield in a Punt Boat, photograph. 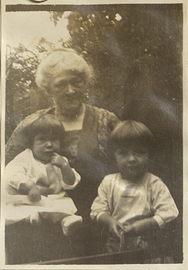 Jean Penfield with Ruth Mary and Wilder Jr., photograph. 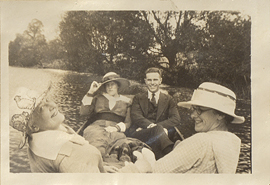 Jean Penfield, Frank Brown, Helen Penfield, Abigial Eliot in a Punt Boat, photograph. 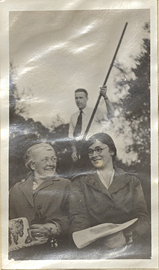 Jean Penfield, Ruth Mary Penfield and Wilder Penfield Jr., photograph.